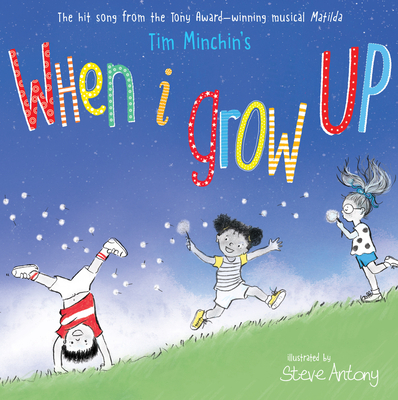 Tim Minchin is a Tony Award-winning musician, comedian, actor, and writer. In 2009, he was commissioned by the Royal Shakespeare Company to write the music and lyrics for a stage adaptation of Roald Dahl’s Matilda. Matilda the Musical has won over 50 international awards, including seven Olivier Awards and five Tony Awards. Other works include Dark Side, Tim Minchin and the Orchestra, and Groundhog Day. He lives in Los Angeles and can be found online at www.timminchin.com. Steve Antony is the popular author and illustrator of Please, Mr. Panda; I'll Wait, Mr. Panda; Thank You, Mr. Panda; The Queen's Hat; Green Lizards vs. Red Rectangles; and Betty Goes Bananas. The Queen's Hat was nominated for the Kate Greenaway Medal in the UK. Steve lives in Swindon, England. Visit him online at www.steveantony.com.